Finding a lake home for a bargain can take time, a reasonable budget, and the ability to go outside of your original expectations in both location and layout. 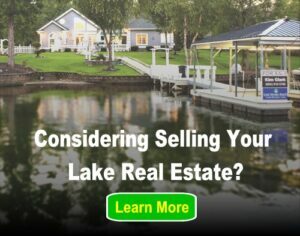 Though you might not think that getting a lake house at a fairly low price is attainable, people do it all the time. Taking a deeper look at each of these factors can help you in your journey to finding a lake home for a great bargain. Being able to wait until the perfect opportunity comes along is probably the most important aspect of getting a house on a lake for a bargain. In places where there is a “seller’s market” this can be especially true. When the right house does come up, time again plays a factor as you need to be able to get on it right away. There may be times when there are hardly any homes on the market, and other times when there may be lots of them. If you have the discipline to wait until the right home comes along at the right price, you can get a second home at a very large bargain. Your budget is going to have a lot of influence on how good of a bargain you can get for a lake house. For smaller houses that more people can afford, you are less likely to be looking at a bargain, and more likely to be looking at the seller getting pretty close to fair market value for their house. Where budget does come into play is when there are very large or relatively expensive houses on the market compared to other homes nearby. When there isn’t a very large pool of buyers for a home because of the price, you can sometimes score a good deal, because the sellers know that someone else may not come along for a very long time. In these cases, you are getting a relative bargain not because you got it for such a low price compared to all the other houses in the area, but because you got it for far less than it’s fair market price. Where a home is located plays a sizable role in getting a bargain. If it is in a neighborhood that is highly sought after, there probably won’t be too many opportunities to get a home at a bargain. What you need to do is start looking away from the beaten path. Homes in areas that aren’t as popular can often have excellent deals available since houses tend to languish on the market and a seller may be more willing to come down a lot more on the price. 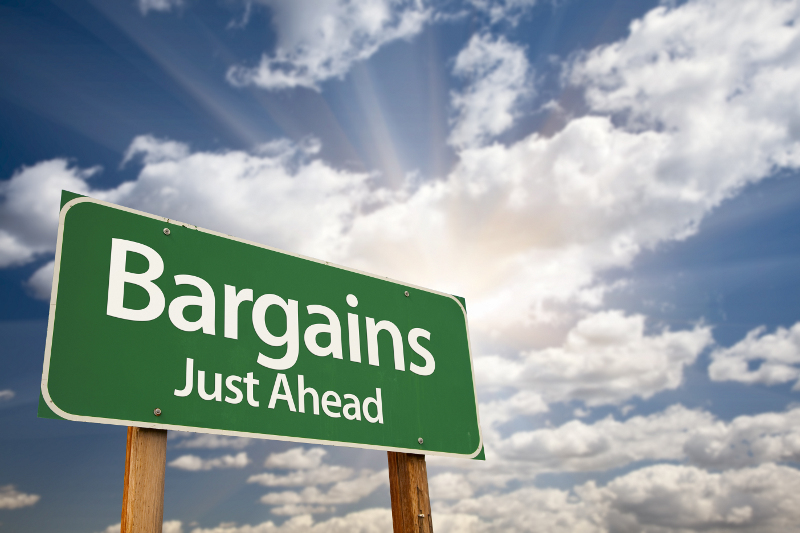 What region of the country the house is in can determine what kind of price point it will be offered at, and whether or not you are going to be able to score a good deal on it. Places that are seeing an influx of buyers will have far fewer good deals than places where there seems to be a lot of inventory on the market. Knowing the general market in your region of the country can help you make a decision on whether to look earnestly for a lake house now, or to wait it out until prices, or the number of buyers, come down. Understanding what is popular with buyers in your area in terms of the number of bedrooms, bathrooms, and square footage, can help you find hidden bargains that you might not have otherwise known about. A place that is popular with families will result in prices close to fair market value for houses with lots of bedrooms. On the other hand, that same area will see sellers with smaller homes have a much harder time trying to sell their house for close to their asking price. Upgrades on the inside and how exactly the house is laid out can play a part in whether or not you can get a deal on a lake house. Most people go for open floor plans these days, while some older houses have much more compartmentalized layouts. If you don’t mind a few extra walls, you can get a good house for a very good price. The great thing about looking for a lake house as either a second home or an investment property is that you are going to be able to negotiate from a position of strength. Any house that has been on the market for more than a couple of weeks means that you likely won’t have much competition bidding for the house, and if the current owners need to get out quickly, you can have it for an even lower price. My wife and I are looking to relocate to a Lake front home to retire in the next 5 years. We don’t have a specific area in mind other than we are looking for good weather year long. Our preference is a ranch style with walking from the backyard directly to a private boat dock, two wells would be nice, but not a requirement. We’d like an open concept with a fairly large kitchen and 3 bedrooms. Our price range in $300k-$400k.